The biggest issue is LOAD. This is described as a pump machine, I assume a centrifugal. Per the affinity laws, increasing the speed (from 50Hz to 60Hz) produces the following results: Flow increases in direct proportion to speed. Required shaft torque (and resulting line pressure) increases with the square of the speed. Required power increases with the CUBE of the speed. A 20% increase in speed (all other factors being equal) results in a 20% increase in flow, a 44% increase in required torque, and a 73% increase in required power. Chances are good that the motor will NOT be able to drive the pump unless the flow is throttled way back. Even then, the head pressure increase may cause excessive load on the motor. Putting an inlet restriction to reduce flow may (MAY) result in pump cavitation. If this is a conveyor application, probably not an issue. If this is a belt-driven pump, change the pulleys and slow the pump down. But if it's a direct-drive pump, it probably isn't going to run very long before tripping out on overload. To put it simply, look at the name plate data and see if the machine is rated for 50 Hz / 60 Hz combination. If it is you can do that. 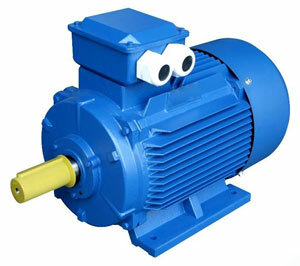 If it is not, then you need to buy a 50/60 Hz motor for the operation. In the future when you buy a motor, make sure they are rated for both 50Hz & 60Hz frequencies. Then you won't have that problem. 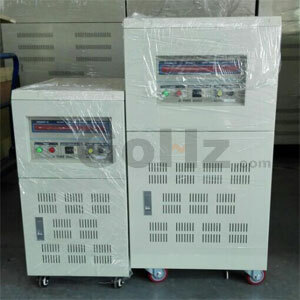 We don't know the machine or supply voltage so all we are able to say for sure is, maybe. As you said, the 50Hz vs 60Hz are not a problem as long as the voltages maintain the proper V/Hz. The load is the final factor and since we don't know how much headroom he had in the original arrangement, all he can do is try it. It will either work or it won't but I'd try it before discarding the machine. Just trying it won't do any damage. Why is it so hard to ask a complete question? 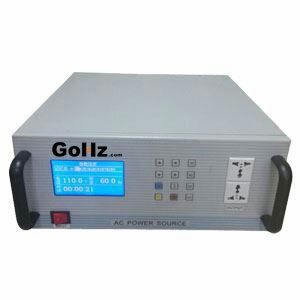 What type of pump, what size motor, what voltage at 50 Hz, what voltage at 60 Hz, why the change from 50 to 60 Hz? Why don't you know a motor or pump distributor/representative who can answer your questions? Get the specs for your machine and see if it is designed to operate at the new condition you want to use. Next get the specs on your load, and find out where on the starting and operating curves you have been. Last, see how the changes in the machine performance will change the load performance. Is the machine still operating within specs?